My name is Caroline O Riordan, I am from Mallow, Co. Cork. 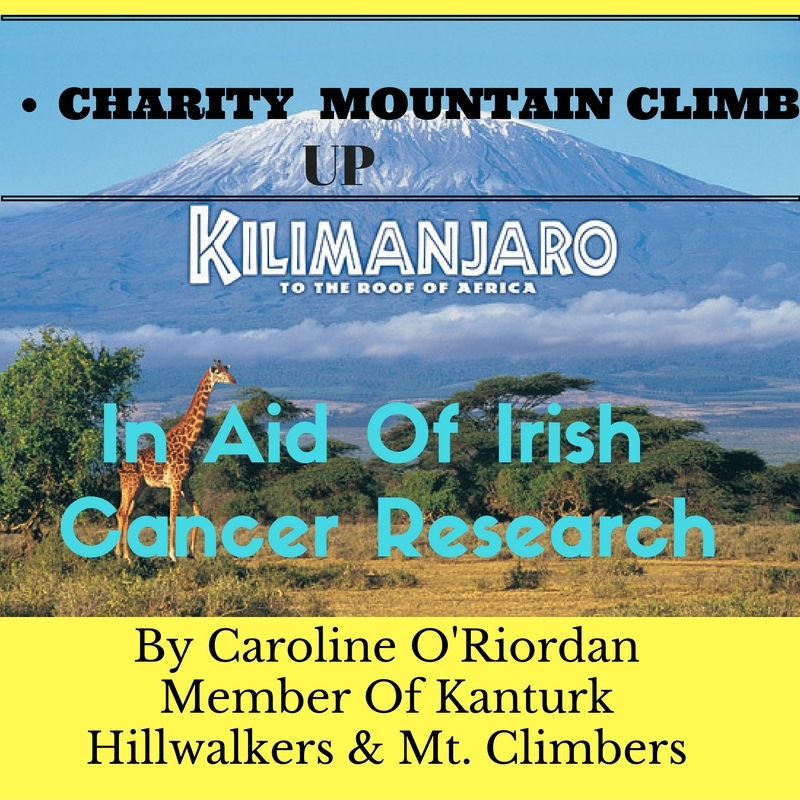 On the 17th of October 2016, I am taking on the challenge of climbing Kilimanjaro in Africa in aid of Irish Cancer Research. I am fundraising for cancer as my mother was diagnosed with Breast Cancer in July 2016. My young cousin spent 4yrs battling a tumour. I have lost friends and other members of my family because of cancer. I wanted to fundraise to help find ways to cure this dreadful disease. I hurt my back in a car accident and had back surgery in 2013 and I broke my left ankle twice. I was told I was not to exercise for longer than 20 mins a day, which played havoc with my mental health as I was always a sporty person. In 2015, I had a turning point, in which I met a personal trainer who told me "no one can tell you what you can and cannot do, that's in the power of your own mind." 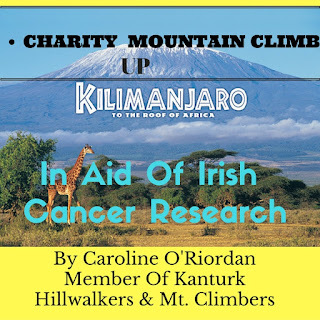 Since that meeting, I turned everything around and I am back in the gym twice a week, I run plenty of races and I have signed up with Kanturk Hillwalkers this year and through this club I have climbed Carrauntoill twice, Mangerton, The Paps, Tomies & Purple Mountain, Gougane Barra and MacGillycuddy Reeks. I have trained as a Life Coach and N.L.P Practitioner and I now teach people the power of their own minds and that they can achieve anything they put their minds too.